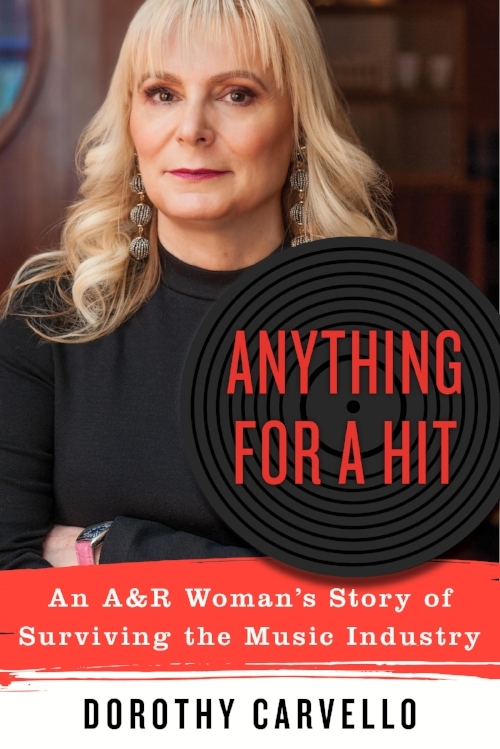 The music industry is long overdue for its #MeToo explosion, and this memoir seems ready to light the fuse. Dorothy Carvello knows all about the music biz. She was the first female A&R executive at Atlantic Records, and one of the few in the room at RCA and Columbia. But before that, she was secretary to Ahmet Ertegun, Atlantic’s infamous president, who signed acts like Aretha Franklin and Led Zeppelin, negotiated distribution deals with Mick Jagger, and added Neil Young to Crosby, Stills & Nash. The stories she tells about the kingmakers of the music industry are outrageous, but it is her sinuous friendship with Ahmet that frames her narrative. He was notoriously abusive, sexually harassing Dorothy on a daily basis. Still, when he neared his end, sad and alone, Dorothy had no hatred toward him—only a strange kind of loyalty. Dorothy Carvello began her career in 1987 as secretary to Ahmet Ertegun, the legendary Atlantic Records founder, and went on to become the label’s first female A&R executive. She worked for many of the biggest names in music—Morris, Azoff, Galante, Buziak, and Ienner—at Atlantic, Giant, RCA, Relativity, and Columbia.